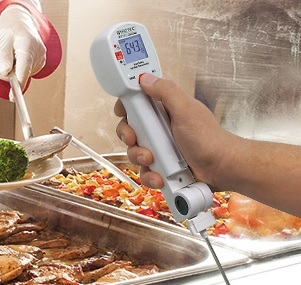 Food thermometers are used to check compliance with HACCP standards. The temperature can be measured by contact method and non-contact method. In contact method, the thermal probe used and in non-contact method, IR sensor is used. Please read complete article on IR Food Thermometer with probe. 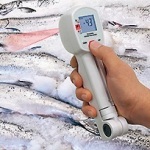 Vacker Group supplies all types of Infrared Food thermometer with probe in United Arab Emirates, Qatar, Kuwait, Kingdom of Saudi Arabia, Bahrain, Jordan, Iraq and Oman.